On the surface a sarcastic, snarling slacker-grunge tune, there’s a thread of classic emo running through Manchester trio Faux Pas’ new single TV Made Me Paranoid, albeit worn down over 10-15 years of added grittiness and social and political anxiety. This puts it constantly on edge, and grants an honesty and awareness requisite for rock leaning tracks in this day and age. 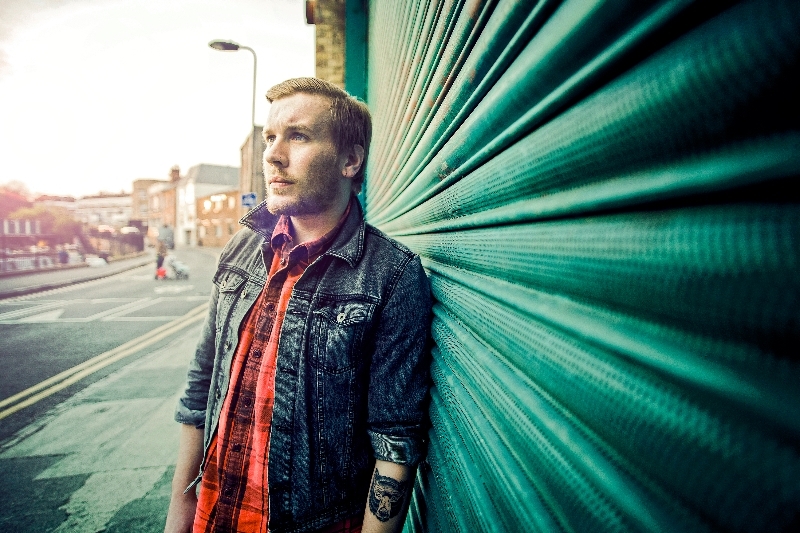 The inspiration and name for the song came from frontman Ru Cowl reconciling a TV addicted childhood with a culture-shock of returning to it after an adolescent period of avoidance. It comments on the way it insidiously gives you ideas of ways to look, act, feel. Tangentially it also ponders on the unforgiving nature of being an entertainment star. As he explains: “it kinda blew my mind how totally bizarre adverts are, all aiming to get you hard, all hyper produced, selling total crap…”, continuing with a an ironic pop-culture reference, “At the same time I had been watching a show called Bojack Horseman and it got me thinking about the brutality of pretty much any entertainment industry. There’s this really killer line in the third episode about how no one will love this has been as she turns 30, my head just started chugging at that thought”. It was also born out of a period of upheaval for the group – with regards to personal situation as well as the line-up of the band itself. As can happen enthusiasm waned for a period, before inspiration took hold in the mysterious way it does, throwing the band into their most productive, focused and determined period yet. As an example of this new found drive, and to celebrate the release of the single Faux Pas are heading out on tour, taking in a series of shows, some self-promoted, a continuation of the DIY graft the three-piece have put in to get noticed up to this point. Faux Pas are Ru Cowl (Vocals, Guitar) Lewis Egdell (Guitar), Joey Leyland (Drums). 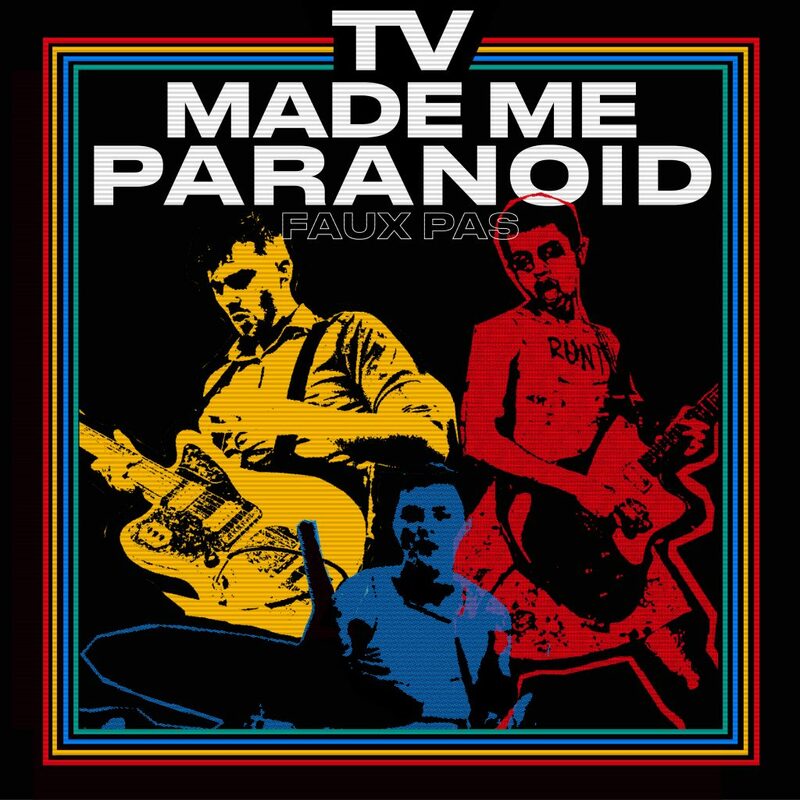 TV Made Me Paranoid was produced by Mickey Dale and is out on February 1st.